Oscar Niemeyer, the inspiration behind Brazil’s capital Brasilia as well as the United Nation’s headquarters in New York, passed away at the end of 2012 at the age of 104. Although born in Rio his impact was felt and resounds to this day in many cities across the world including São Paulo where his curvaceous Copan building remains the iconic structure of the city and the Niemeyer designed Ibirapuera park, the best known green space in town. How then, to pay homage to the man. 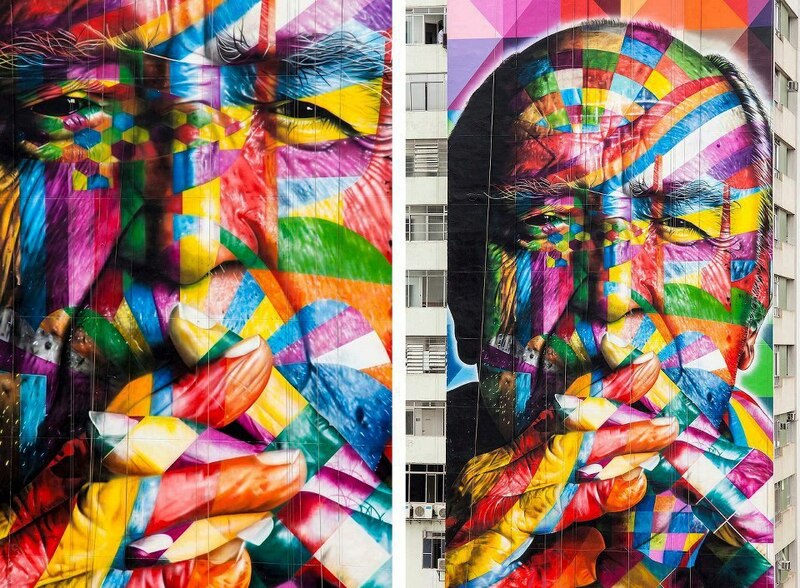 One of the efforts which São Paulo has engaged in this year is to create a mural covering the entire façade of a building on near Praça Oswaldo Cruz off Avenida Paulista. The work, painted by Eduardo Kobra, is huge and was only finished late last month. Here you can see some photos of the work towards the end of the project as it drew towards completion. 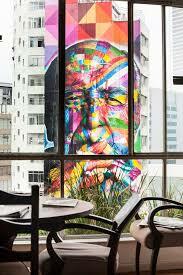 A fittingly urban tribute to the man who shaped and reshaped so much urban architecture. BTW, your Google Maps link takes me to somewhere in Mogi Das Cruzes....was mighty confused at first. Thanks - I've updated the blog post for you!